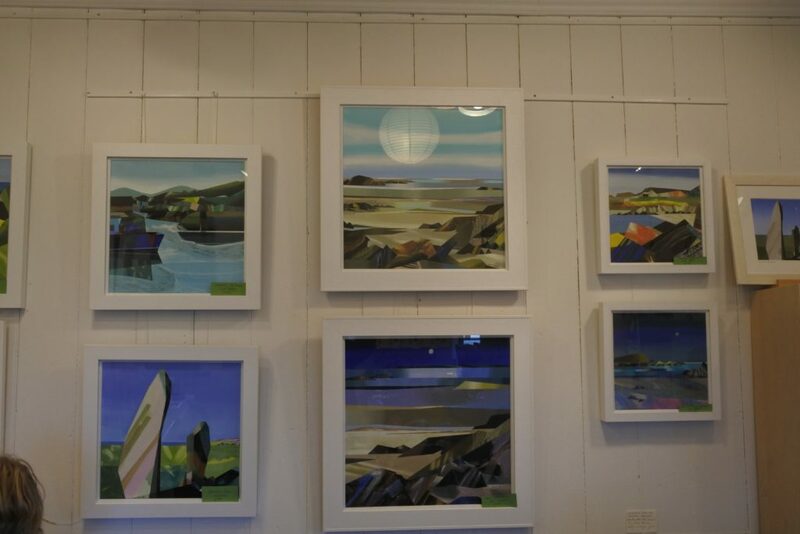 Colonsay’s Spring Festival, which centres on the creative arts and nature, was held in the first three weeks of May. The first half of the festival featured a wide variety of arts, crafts and activities, as reported earlier in the Corncrake, and the second half the festival continued with the same rich, diverse mix. At the Old Waiting Room gallery the a joint exhibition by Morag Tweedie, Anne Ferguson, and Carol Paterson, was followed by an exhibition of the works of Jane Smith. 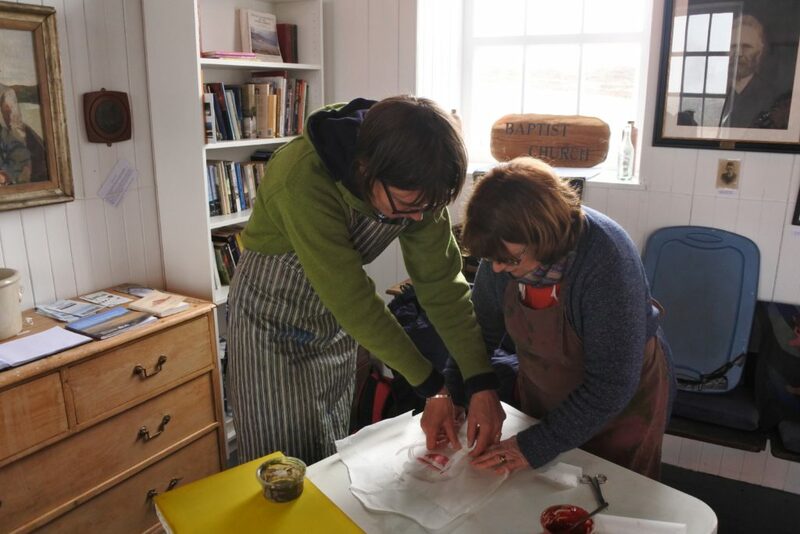 The Old Baptist church, now the home of the Heritage Trust, was once again buzzing with activities including, block printing, screen printing, and book binding, while Colonsay house was home to wool dyeing, jewelry making, a knitting workshop and willow weaving. Out of doors there were farm walks, beach walks, and bird spotting and fern spotting. The Old Baptist church has become an instant success as a venue for arts and crafts activities. The church’s large windows provide excellent light and the space is proving adaptable and flexible. Jane Smith ran several different workshops in the church including one on screen-printing. 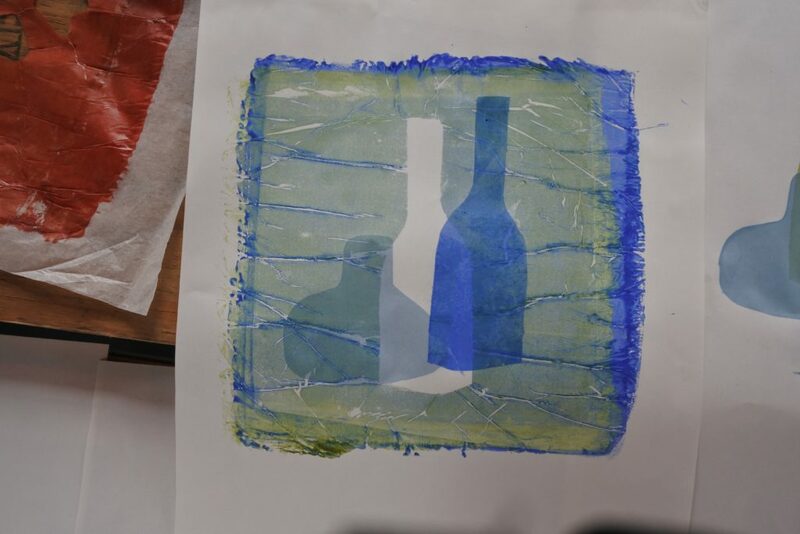 Using simple shapes and printing with overlaid transparent colours, participants were able to produce attractive, entertaining yet simple works. 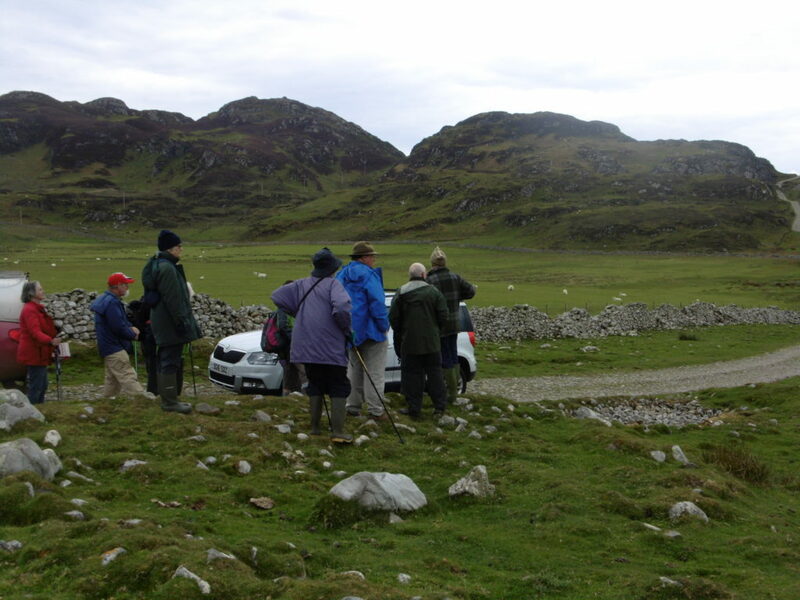 For those looking to discover more about the flora and fauna of Colonsay there were a variety of guided walks. Kevin Byrne continued his beach walks which combine the pleasure of discovering Colonsay’s shoreline with the benefit of clearing and cleaning up rubbish brought ashore from the sea. Sadly ocean currents bring much plastic and other man-made materials on to Colonsay’s shores, and keeping the beaches clear is a constant task, which Kevin has dedicated much time and effort to over recent years. Jonathan Lingard’s walks went also close to the shore, but also inland in search of the wide variety of bird life which breed here. Amongst Jonathan’s walks was evening walk through Uragaig looking, or rather listening, out for birds in the calm of dusk when their songs and calls are easier to pick out. This year Corncrakes are well established in the crofts of Uragaig, and easily picked out by the unique call. Kevin Byrne was also exploring the interior of the island but in pursuit of unusual flora, particularly ferns, which Kevin has been making a study of. Of course much of the Colonsay is farm land and David Hobhouse led groups through Balnahard to find out more about how beef and sheep are farmed in an environmental sensitive way, which allows for birds like the Corncrake space and time to breed. 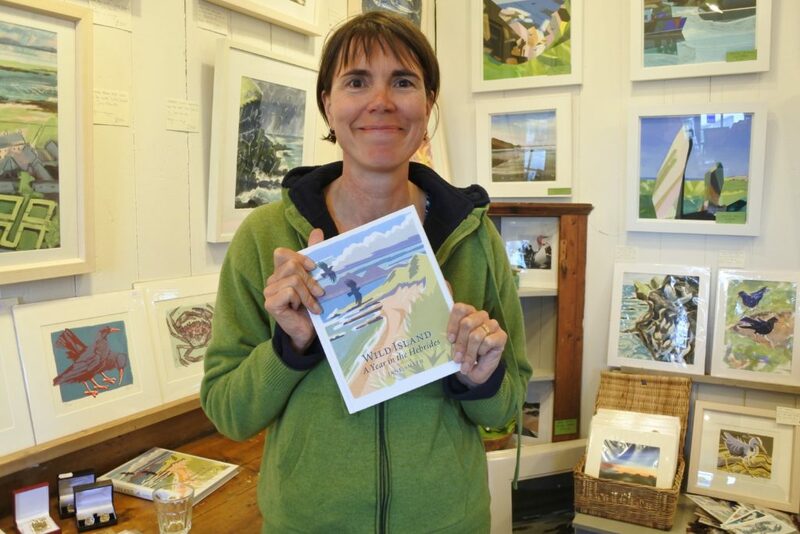 Jane Smith also gave an illustrated talk exploring the importance of islands for wildlife. Jane has written a new book “Wild Island” about Oronsay, which features many of her works, and describes her experience of the many faces of nature on the island.